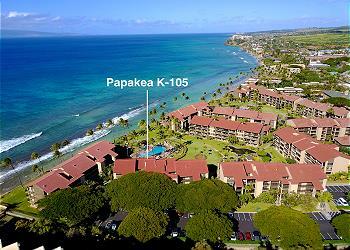 Welcome home to Papakea K105- your fully remodeled 900+ square foot, non-smoking air-conditioned 2 bedroom/2 bathroom condo (sleeps 7) on the ground floor. 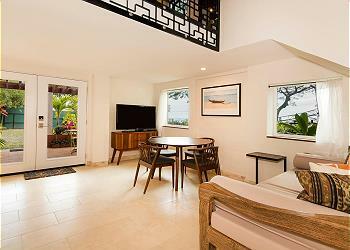 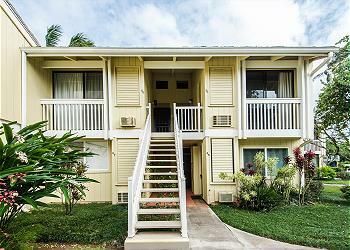 Welcome to the award winning Nihilani at Princeville Resort! 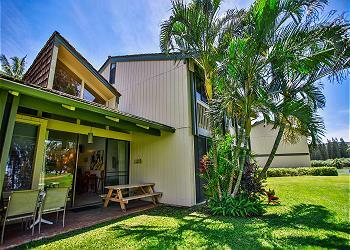 Surrounded by native flora as you approach, this 2 bedroom, 2 bath stand alone town home located in Kauai’s north shore community of Princeville offers the welcoming feeling of aloha. 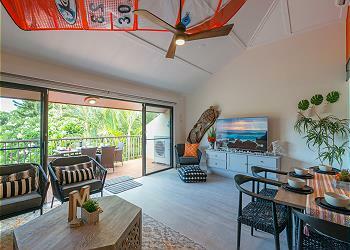 The condo, which comfortably sleeps 6 people, sits amidst the swaying palm trees and the aquamarine ocean of the Turtle Bay Resort. 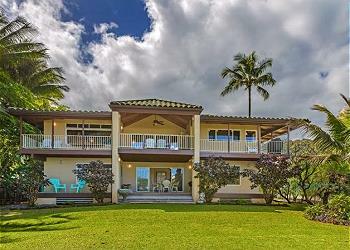 Centralized along beautiful Hanalei Bay, enjoy Pine Tree Villa a beautiful custom built 2-story oceanfront home, featuring 3 bedrooms/3 baths + powder room. 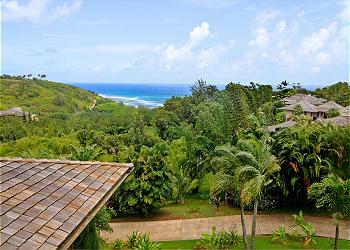 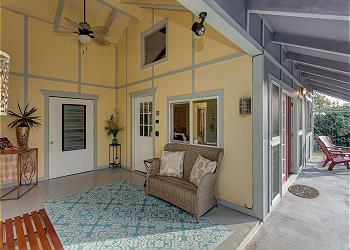 Discover the north shore of Oahu in this 2-bedroom, 2-bath North Shore Oahu vacation rental.